We’re getting into the holiday gift-giving season a time when many pitch their tents outside big box stores the night before the door buster Black Friday sale. 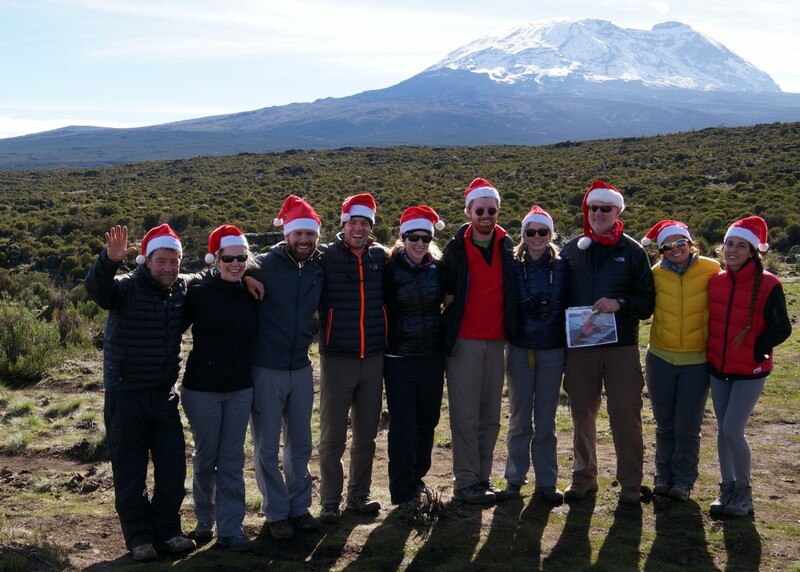 Mount Kilimanjaro is where we pitch our tent so our take on gifts is a little different. It’s about useful apparel and equipment for your next Tusker trip. A great pair of well-fitting boots is said to be the most important part of a climber’s apparel, but your socks have to be right too. The Vermont makers of Darn Tough offer socks that are stylish yet effective in cold-wet conditions. A high-density knit, Merino wool and Coolmax mix keep you warm and dry. Ultra-light yet dense they are a steal for around $25 considering they come with a lifetime guarantee that covers a replacement for any reason. Every hear of that? Layering is the way to keep our core warm, but most of us focus on the outer shell not the inner. Not so for the coolly efficient Kiwis at Icebreaker who value New Zealand’s free roaming Merino sheep above all else when it comes to providing warmth. Wool on skin often is an itchy proposition but Icebreaker’s wool is refined, doesn’t stick or stink like synthetics after a few days, and is a heck of a lot warmer than cotton. Base layering crew t-shirts start at $50, but the price is worth it. A lot has changed in the alpine sunglass world since the 1961 intro of Vuarnet. Today we like a pair of Julbo’s for their lightweight, polarized and photo chromatic approach. With a 100 percent UV block, Julbo gives you the needed protection for under $200. Anti-fog coating is a big plus on Kilimanjaro’s misting mornings. We also like the non-crush case as well as the retaining strap that insures good fit. Just as chic as those retro Vuarnets too. When the water bladder in our packs leak it pisses us off. It shouldn’t be rocket science to make a bladder that doesn’t leak and is easy to refill, but it seems the guys at Seattle’s Cascade Designs are the only ones who figured it out. Founded by three laid off Boeing engineers who loved the mountains, they designed the world’s best reservoirs that sit inside your pack. The three-ply plastic laminate is tough and doesn’t give off a plastic taste. At $25, the three liter Platypus Hoser is good value making a great gift for hikers who don’t want a wet pack. The best bargain this season is Tusker’s .99 cent High Altitude Smartphone App. It lets you know if you have symptoms of altitude sickness or High Altitude Pulmonary Edema by asking you a series of questions and provides suggestions. How many things can you buy for .99 cents that can save your life? Available at the iTunes store and works with iPhones and android devices. Just Google “Tusker Hypoxia” and spend .99 cents to save your life.